Vertical Garden | Green Wall is a WALL. 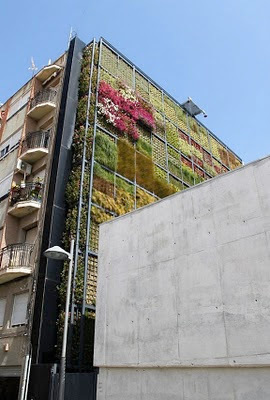 Vertical Garden or Green Wall is a wall which is modified so that it can become a beautiful garden, either in part or whole wall. Typically, the front wall (façade) are often used as a Vertical Garden, but can also to other parts of the wall even interior walls. 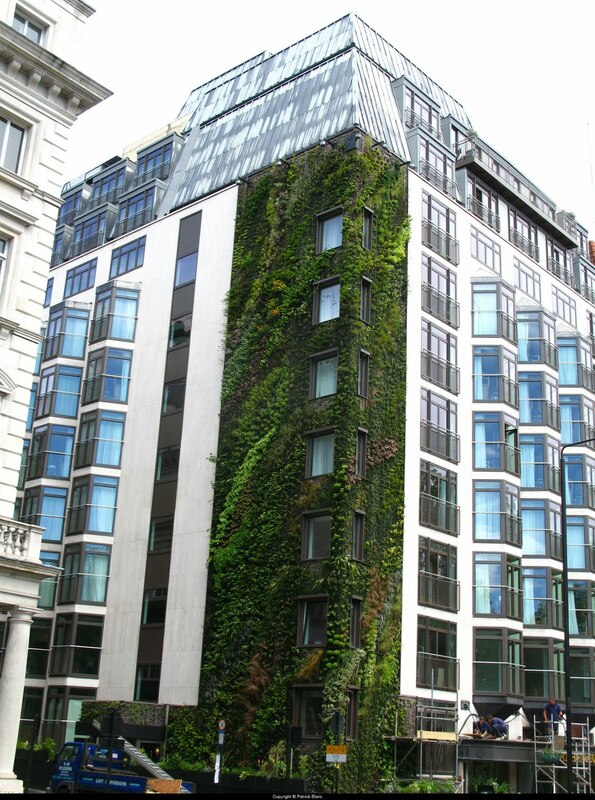 The term of Vertical Garden can refer to the living walls, biowalls, green facades, vertical farming, or the green wall. 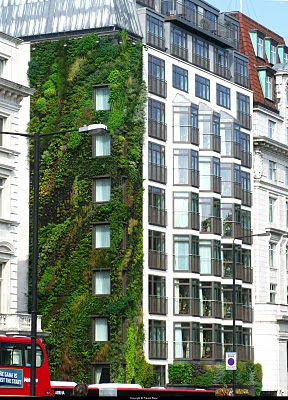 Some architects use the term Green Wall. There are 2 kinds of green wall that is "green facades" and "living walls". Green facades is a wall covered with creeping plants that grow directly on the wall. 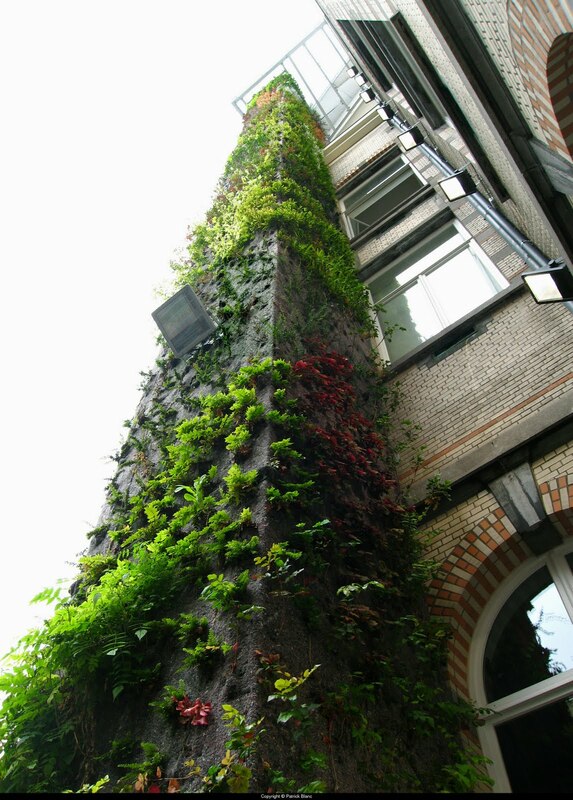 Living Wall is a wall that given the growing media for plants. Planting medium is usually made of stainless steel that takes into account the problem geotextiles, irrigation systems, a growing medium and vegetation. 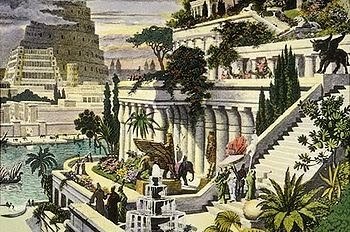 Vertical Garden could have been inspired by the Hanging Gardens of Babylon or also called the Hanging Gardens of Semiramis (the Hanging Gardens for the Queen Semirami) that uses a principle or a Green Roof Garden (Roof Garden Building). Babylon is estimated to be at the site of Al Hillah, Babil, in Iraq. A 16th-century hand-coloured engraving of the "Hanging Gardens of Babylon" by Dutch artist Martin Heemskerck, with the Tower of Babel in the background. One well-known as a designer and architect and inventor of Vertical Garden is Patrick Blanc, a botanist who works at French National Centre for Scientific Research with specialization Subtropical Forests. 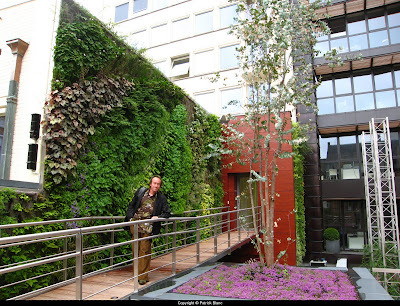 He was born in Paris June 3, 1953 that has a website containing a portfolio of self http://www.verticalgardenpatrickblanc.com and project work. His Vertical Garden Project is working on building a museum, Hotel, Restaurant, Art, Social Building, and other personal Houses spread across New Delhi, Bangkok, Malaysia, Hong Kong, Taipei, Shanghai, Seoul, Kanazawa, Osaka, Tokyo, North America, South America, Europe, Middle East, and Australia. 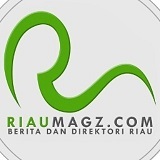 Open Space area is decreasingly due to rapid human growth and the need for building. We need more open area!! !